We have been designing and manufacturing water tunnels since 1986. 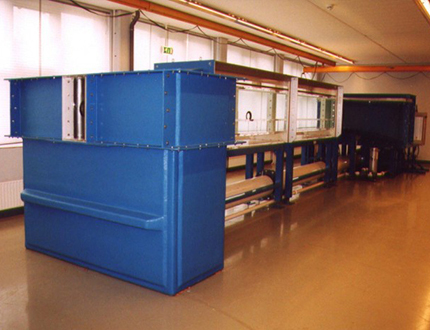 For the majority of applications, air provides the most suitable testing medium. However, complex, three-dimensional flow fields are better understood through visualization. Smoke traces generated in wind tunnels tend to be hard to control and dissipate rapidly downstream of the injection point. Visualization of the individual flow streamlines is not something easily undertaken. A liquid can be used as the visualization medium, and water is the most common choice, because it allows a wide variety of visualization techniques to be employed. 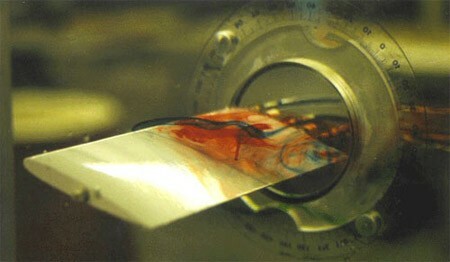 The simplest being food coloring injected into the flow. Standard model test section sizes that range from 6" x 6" up through 24" x 24". Flow rates that are controlled through the variation of the pump RPM -- this provides excellent velocity control from speeds up to 3 fps (~1 m/s) to practically zero. All of the water tunnels are unpressurized, which permits excellent access to the model through the test section open surface. Dye models and additional test section features can be added to any of the standard designs. 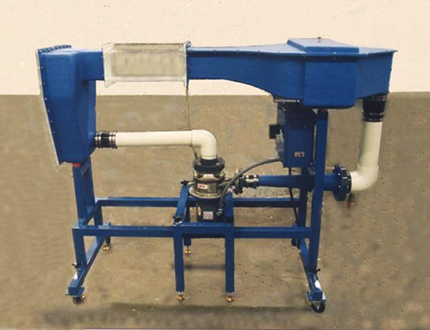 As an add-on option to any ELD water tunnels, we offer a complete system of models, all include dye taps. NACA 0012 & 4412 6" chord with adjustable flap. 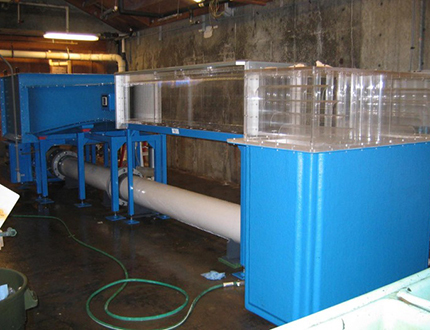 Shear layer tunnels, systems for studying aquatic wildlife, and applications that require different mediums can all be easily accommodated with slight modifications to the standard designs.